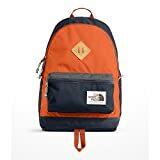 If you are looking for alernative solid backpacks at friendly prices, check out the best Jansport backpacks as well. One of the best North Face backpacks we found is the Recon series. Designed for use by both men and women, this backpack comes in a wide range of styles. It also offers an ample storage area on the front of it that’s secured by a mesh liner. In terms of affordability, the Vault series is another excellent choice to consider. This model also incorporates a floating laptop sleeve that is ideal for compact laptop designs. With its water bottle carrier on the side, it’s also an excellent choice for active individuals. The Borealis model climbs slightly in purchase price. However, it offers plenty of storage with a holding capacity of approximately 25 liters. We also like that it features a removable hip belt to help distribute the weight of the backpack more evenly. Although it’s a bit on the pricey side, the Surge is another one of the best North Face backpacks available. It features multiple independent compartments and it comes in several beautiful style choices. Users who need to take their laptop with them wherever they go may want to consider the Hot Shot series. While it does sacrifice pocket count, the separate laptop sleeve is lined with fleece to ensure your laptop stays protected from accidental bumps. While it will cost you a bit more, the Router line is another viable choice for many reasons. For starters, it features five separate storage compartments. It also offers a great deal of padding in both the shoulder and back areas. Many shoppers will likely be looking for a backpack that is suitable for their child. This is where the Mini Berkeley line shines. With its small size, it’s the perfect option for young adults. It’s also one of the most affordable options on our list. The Iron Peak backpack surprised us with the large storage volume that it offers. It’s also the second option on our list that incorporates a separate storage area that is lined with fleece to protect your laptop. In addition, it also has a small inner compartment that is great for pens and pencils. For some users, portability is key in their preferred backpack design. This is one area where the Microbyte series excels. Even with its small size, it still has enough space to hold up to a 13-inch laptop with ease. Our number one choice for best North Face backpacks is the Jester series. It offers a good balance of affordability, portability, and a heavy duty design. With its extra large straps and ample back cushioning, it’s also extremely comfortable too. One of the nicest things about the North Face backpacks that we reviewed is that they come in a wide range of color and style choices. This helps guarantee that you should have no problem finding the perfect backpack to fit you or your child’s needs. 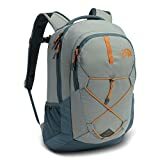 If there is a North Face backpack that you want to recommend, tell us about it below.